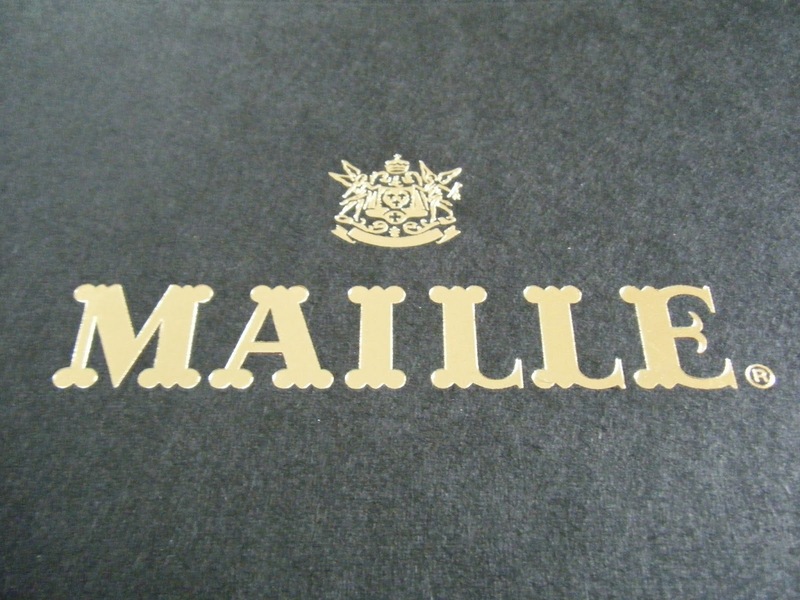 This sesame vinaigrette from Maille reminded me of a yaki niku dipping sauce, it has a familiar toasted sesame flavour with a warm undertone and a sharp vinegar finish, it's divine. Yaki niku is a Japanese dish of finely sliced grilled meats and vegetables served with a selection of dipping sauces. 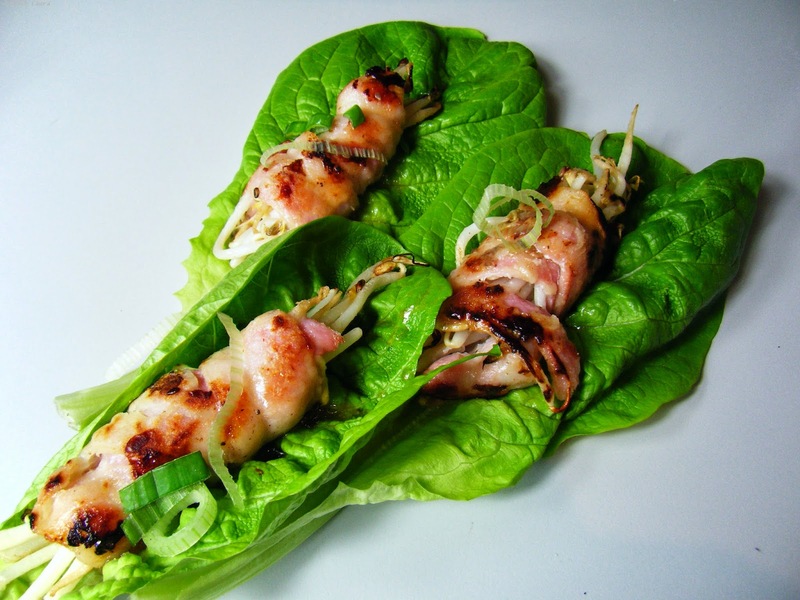 When I was challenged by Maille to incorporate their soy vinaigrette with toasted sesame into a recipe I immediately thought of a yaki niku dish but just telling you to use it as a dipping sauce isn't much of a recipe so I decided to make the streaky bacon bean sprout wraps. The bean sprouts are marinated in the toasted sesame vinaigrette and because they are cooked so quickly they stay pleasingly crunchy. 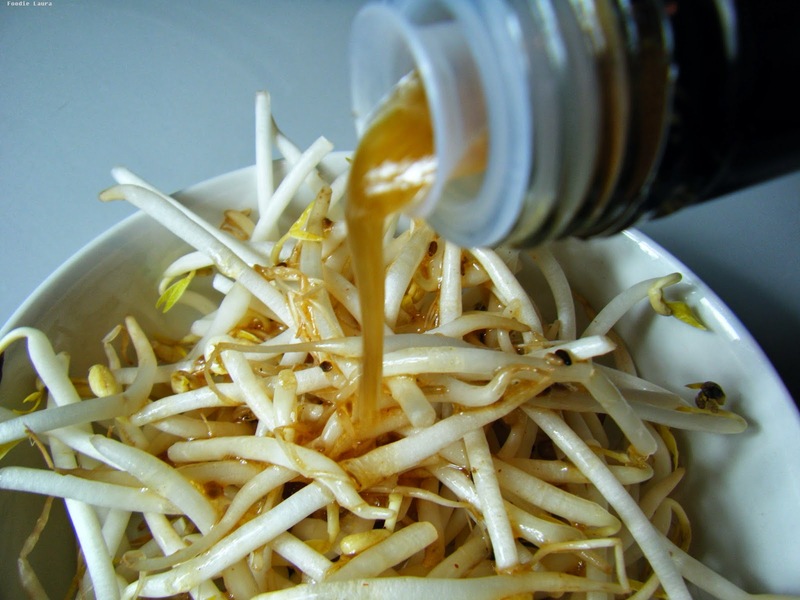 Marinate the bean sprouts by tossing them in 30ml of the Maille soy vinaigrette with toasted sesame. 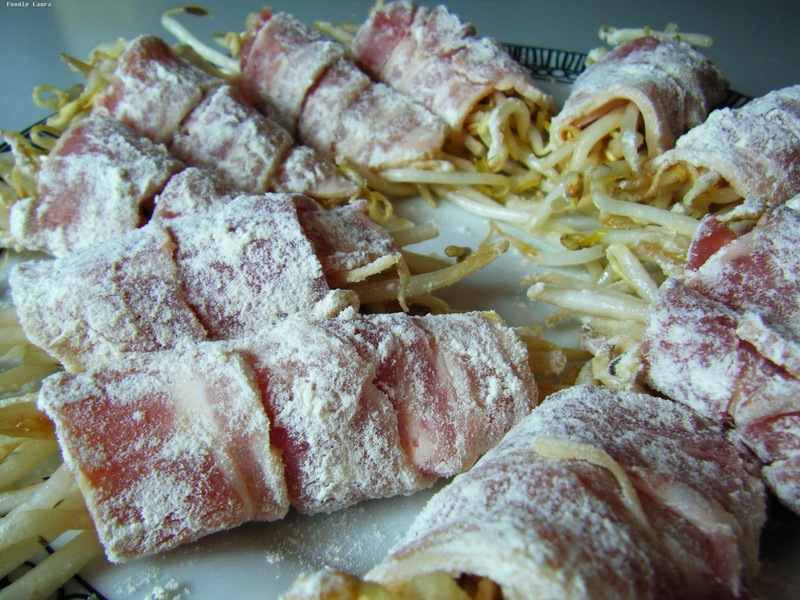 Wrap the bean sprouts up with the streaky bacon and roll them in flour. 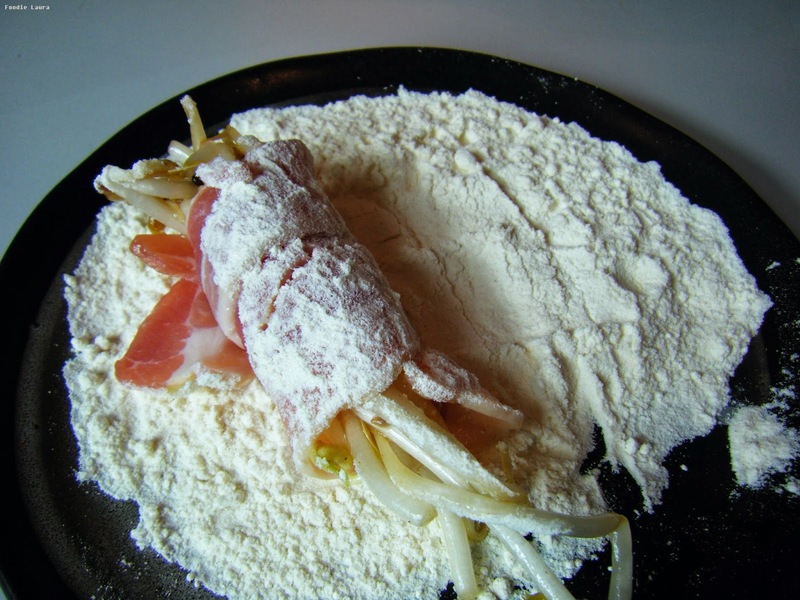 Adding the flour will help the thick vinaigrette cling to the bacon after it's cooked. Dry fry the wraps in a hot frying pan for 2 minutes on each side until the flour and bacon become crispy. Dry frying means you don't need to use any oil or grease in the frying pan as the fat in the streaky bacon will lubricate it for you. 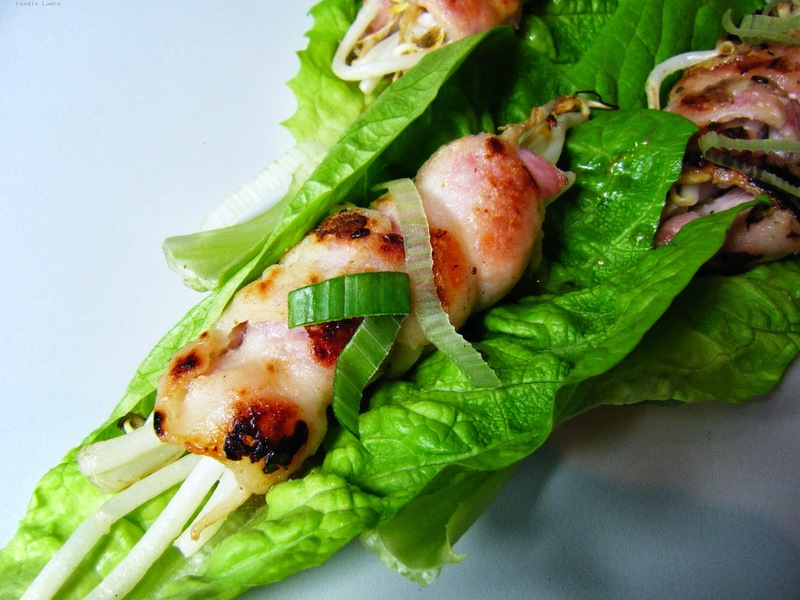 Serve as a starter wrapped in lettuce cups, scatter with the diced spring onions and drizzle with remaining vinaigrette. 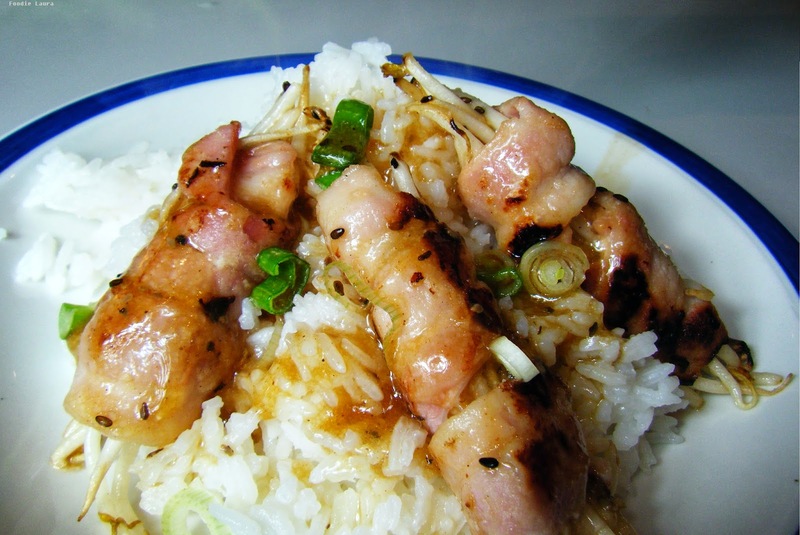 You could turn this recipe into a main make the dish go further add sticky rice. 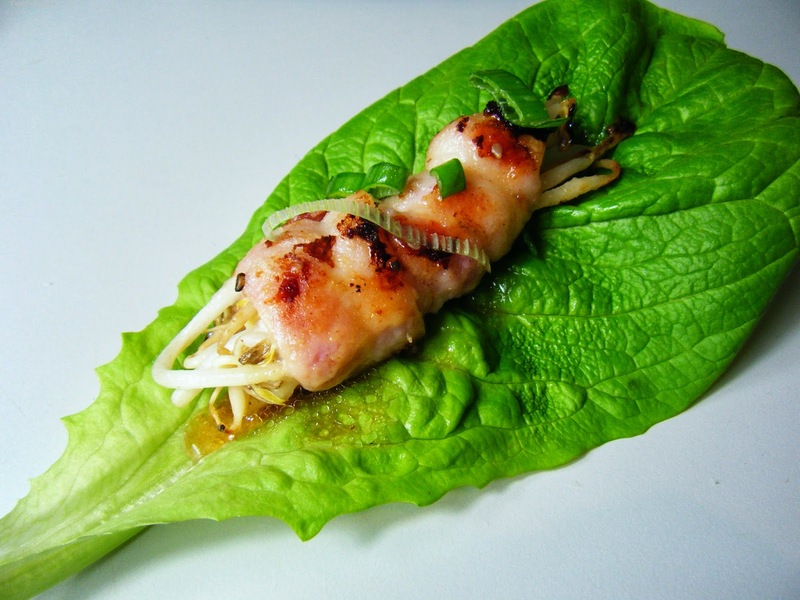 Why stop at bean sprouts? Sliced courgettes, asparagus, flat field mushroom or even halloumi would also work really well in this bacon sesame combo.